Finland’s education system is touted by many as one of the best, if not the best, in the world, and its students consistently score at or neat the top of international tests (you might also be interested in The Best Sites For Getting Some Perspective On International Test Comparison Demagoguery) . What, if anything, can we in the United States learn from what they are doing? Imagine a nation with excellent schools by Ken Bernstein. Ken’s posted a similar article at Daily Kos, which has a ton of comments. What we can learn from Finland’s successful school reform is the title of an article by Linda Darling-Hammond. The Children Must Play: What the United States could learn from Finland about education reform is a very good article in The New Republic. Here’s an interview with Finland’s Minister of Education. The Finland Phenomenon – a film on schools is by Ken Bernstein. Finland’s Educational Success? The Anti-Tiger Mother Approach is from TIME Magazine. The Finland Phenomenon: Inside the World’s Most Surprising School System appears in Forbes. Are Finnish schools the best in the world? comes from The Belfast Telegraph. How Finland became an education leader appeared in Salon. Why Are Finland’s Schools Successful? is from The Smithsonian Magazine. Paradoxes of the Finland Phenomenon is by Joe Bower. Finland puts bar high for teachers, kids’ well-being is an extensive report from The Milwaukee Journal Sentinel. Finnish Lessons is a good PowerPoint presentation. 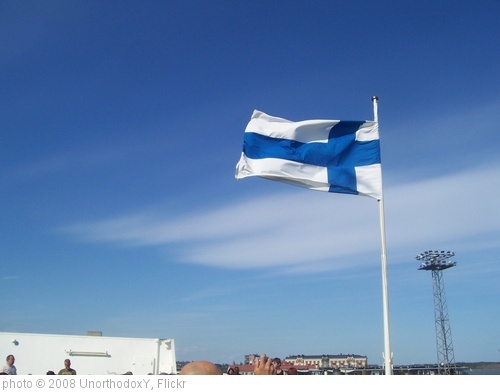 26 Amazing Facts About Finland’s Unorthodox Education System comes from Business Insider. Finnish Lessons is by Ken Bernstein. What Americans Keep Ignoring About Finland’s School Success is from The Atlantic. Pasi Sahlberg, the expert and author on education in Finland, has a blog. Finland’s Success Is No Miracle is by Pasi Sahlberg and appeared in Education Week. What Can We Learn from Educational Change in Finland? is by Pasi Sahlberg. Finnishing School is from Thoughts On Public Education. The Finland Phenomenon: What the U.S. Can Learn about Teacher Preparation and Professional Collaboration is from CCSSO. Finland Schools’ Success Story: Lessons At California Forum is from The Huffington Post. Schools We Can Envy is by Diane Ravitch and appeared in the New York Review of Books. What American Policymakers Can Learn From Finland is a good post from Barnett Berry. Pasi Sahlberg was interviewed on the radio by Cornel West. It’s embedded below. Highly educated teachers the key to success is an interview with Finland’s Pasi Sahlberg. Thanks to Greg Wilson for the tip. A Model Lesson: Finland Shows Us What Equal Opportunity Looks Like is by Pasi Sahlberg. What’s So Great About Schools in Finland? is from Mind/Shift. Standardized Testing A Foreign Concept In Finland With World’s Top Students is from The Huffington Post. Finnish Education in a Nutshell is from The Finnish National Board of Education. What if Finland’s great teachers taught in U.S. schools? is from The Washington Post. Pasi Sahlberg has a great slideshow on Finland’s education system. Finnish Education in A Nutshell is a short and sweet (and good) article. Finland’s education ambassador spreads the word is from The Guardian. Here’s a good infographic on Finland’s school system. Human Capital: The Formula That Makes Finland’s Schools So Good is from World Crunch. The Children Must Play is from The New Republic. Finnish Education Chief: ‘We Created a School System Based on Equality’ is from The Atlantic. The brainy questions on Finland’s only high-stakes standardized test is from The Washington Post. Why Finland’s schools are top-notch is from CNN. 9 reasons Finland’s schools are so much better than America’s is from Vox. No, Finland isn’t ditching traditional school subjects. Here’s what’s really happening. is from The Washington Post. Q: What makes Finnish teachers so special? A: It’s not brains is from The Guardian. How Finland broke every rule — and created a top school system is from The Hechinger Report. Why Finland has the best schools is from The Los Angeles Times. Yes, those readers who wish for a nation of excellent Test-takers should indeed follow those links. The title is somewhat tongue in cheek, as is the intro. Still, I hope people will give thought to what test results can and cannot show us about excellence, especially regarding science education. Don’t forget Pasi Sahlberg’s book “Finnish Lessons.” He is the top expert on the Finnish system. Start with my summary at http://bit.ly/taRzvF and then buy the book. Just finished watching the Dan Rather Reports on Finland’s education system and wanted to know if there were any schools that have started to implement the Finnish model. I know the model in its entirety cannot be implemented due to lack of government support and bureaucracy, but there are some aspects that can be utilized in an effort to focus more on the children, rather than teaching only to the tests.